It has been three weeks since the former Live Wire show hosts, Zahara Totto and Annatalia Oze, were fired by Nation Media, but tonight marked the last day of waiting for their fans. Their maiden show was on Monday October 22 and our main focus was on how different the UNCUT entertainment show was from the Live Wire show that literally introduced them to the world of TV in UG. Zahara and Annatalia who were clad in red and green outfits respectively used up the first ten minutes assuring their fans how they are back plus of course jingos for the show. The first news item was Joanita Zachariassen Lubega who won millions in Denmark after doing the 'Mpola Mpola' song, she beat over 55 contestants who participated in the competition. Next were the highlights of the Buganda Premier's daughter's wedding, Purple Party with Spice Diana letting a fan carrying her like a baby. The NBS show lasted for only 30 minutes and off they went to Sanyuka TV which unfortunately is currently not on DSTV. Meanwhile, It's not clear if the lighting effect made the presenters too light or they just applied too much make up. 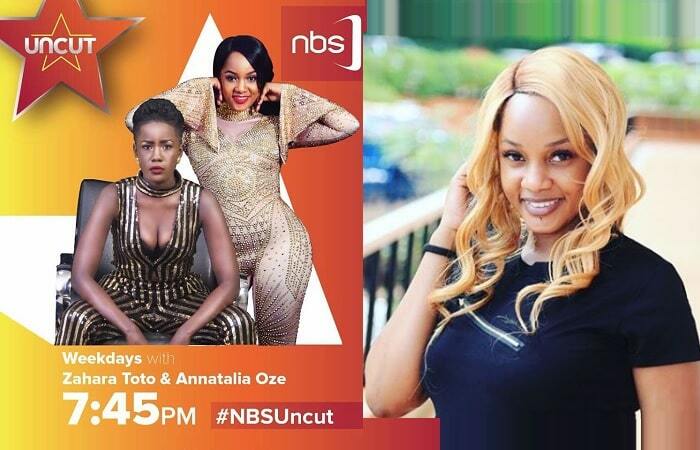 The UNCUT entertainment show, which the team at Next Media says is Uncensored, Unapologetic and Unscripted will be showing at 7:45pm on both NBS and Sanyuka TV. 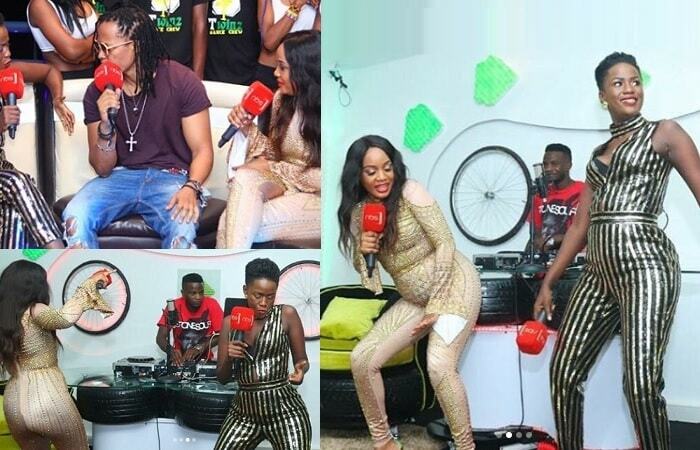 The three weeks they've been off air, their counterparts at Spark TV have been gaining steadily, otherwise, apart from the old presenters the viewers are used to, there wasn't any much difference in the UNCUT show.